The modern dating world is a place of division. Not a criticism, I think we should have more of it. Why settle? 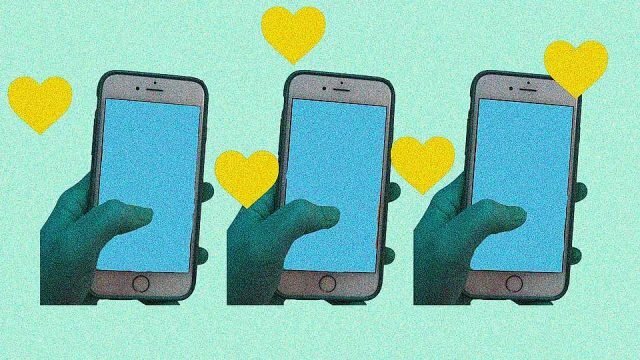 There’s a myriad of problems that come with online dating, and none of them has to do with making a connection. In fact, the opposite is true. It’s an excuse to meet new people and seek division. It’s a grand adventure landmarked by points of contention. Look no further than the logos for evidence of this. Tinder is a flame that will burn you, Grindr is a source of friction, and Bumble is what bees do just before they poison you before dying – which is the ultimate act of ghosting. Yes, it’s colloquially known a sea of lies and half-truths, populated by fuckbois, vapgirls and catfish; it’s a truth universally swiped right upon that the only thing you can really rely on is disappointment. But, you can only think the above is true if you made it that far and haven’t already judged someone for their meaningless choices. The internet is awash with fetid examples, but it really boils down to: …they had an Android phone. If you think you’re beneath this behaviour, you’re a lying person, or you present yourself as a different to everyone else – which is worse. This article in Vogue illustrates this point in deep colour, and through the miracle of confirmation bias and the evil of an arts degree, stretches it out to 1,400 words. Not a criticism, real recognise real. The problem, I believe, is an oversaturation of choice. The fruit of romance is so numerous, it sits in the fridge and rots before we have the chance to eat it. The problem, I believe, is an oversaturation of choice. The fruit of romance is so numerous, it sits in the fridge and rots before we have the chance to eat it all. Lo, bin day arrives, so we pinch our nose and redeposit everyone to the tip and head off to buy some more. I don’t believe it’s our fault, though. “The Golden Generation” (the one with the war in it), and the children they spawned, The Boomers, love to castigate us for dragging our feet in pursuit of the matrimony pony. But, despite everything, we’re all subject to the same whims. If our parents had the same opportunity we have, we’d not be here, and they’d do what we do. This is not a warning, though. I’m not saying that we should look beyond our own unfair romantic discriminations, I’m not saying that we should tear down our walls of hubris. No. In fact, I think we should make our exclusion much more exclusive. Instead of immediately dismissing someone who lives an existence documented on Instagram, let’s tether ourselves to certain filters. Sutro or GTFO. If we’re hating on Apples, make it a certain model. Find what firmware update your potential beau is up to, and base your romance on that. If they’re not up to date, clearly they can’t let go of the past – therefore, they have traditional values. Girl, run. People are puzzled about the modern figures of divorce. But they shouldn’t be. It’s simple. It’s because people settle. While that might have worked in the good old days of the Third Reich, it’s an arcane institution. Making do with less when you can have more is a recipe for division. As Fairground Attraction once put it: It’s got to be-e-e-e perfect.